Love is . 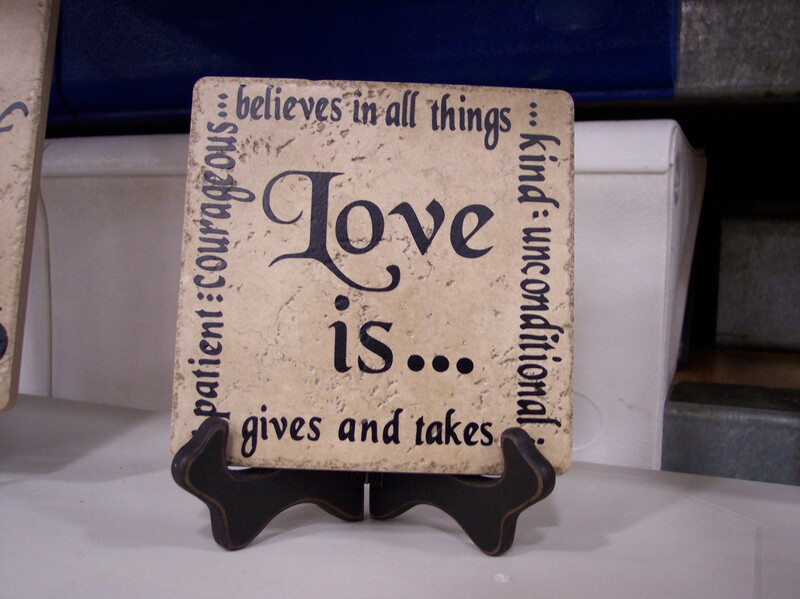 . . patient, courageous, kind, unconditional, believes in all things, give and takes. 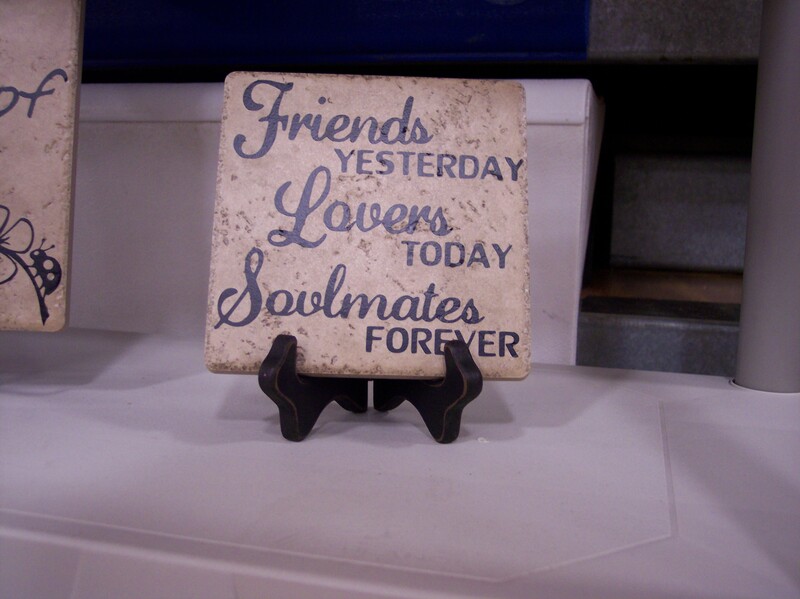 6″ tile – $10; wood stand – $3. See Version #2 for different design set up with same words. 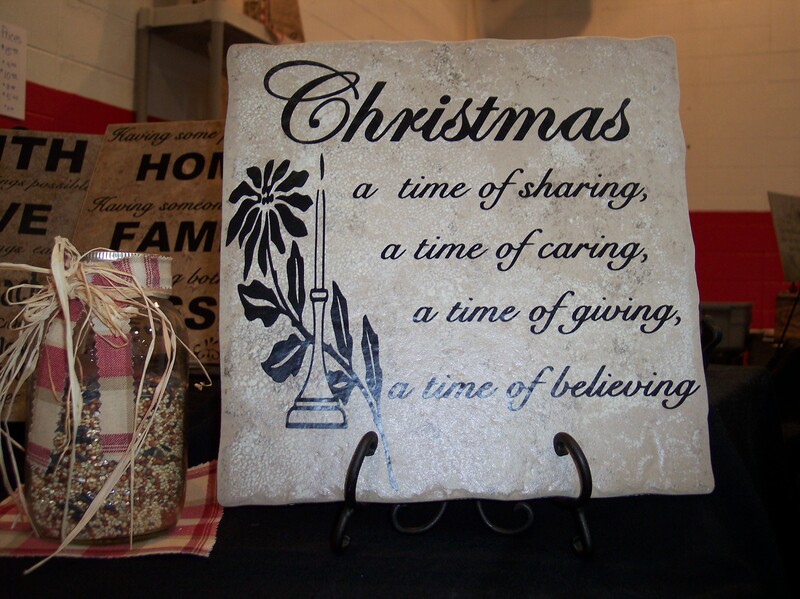 12″ tile – $19. 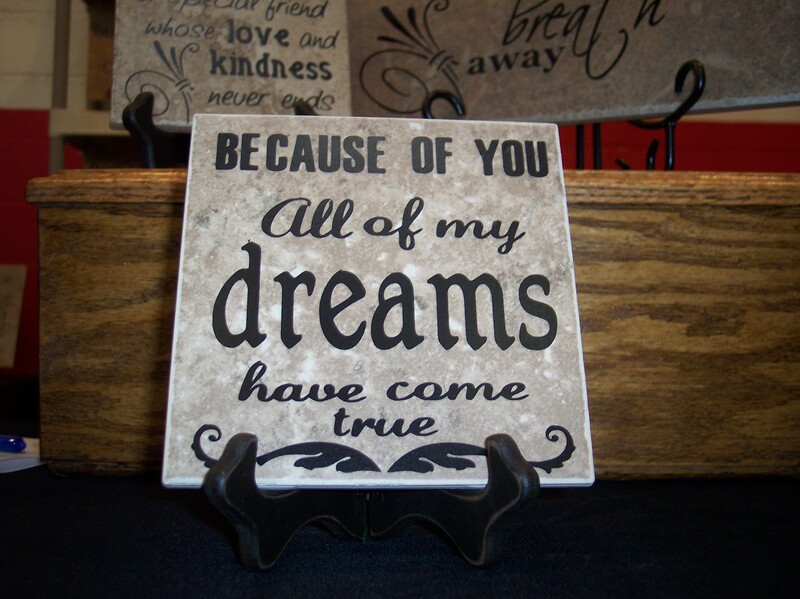 6″ tile – $13. 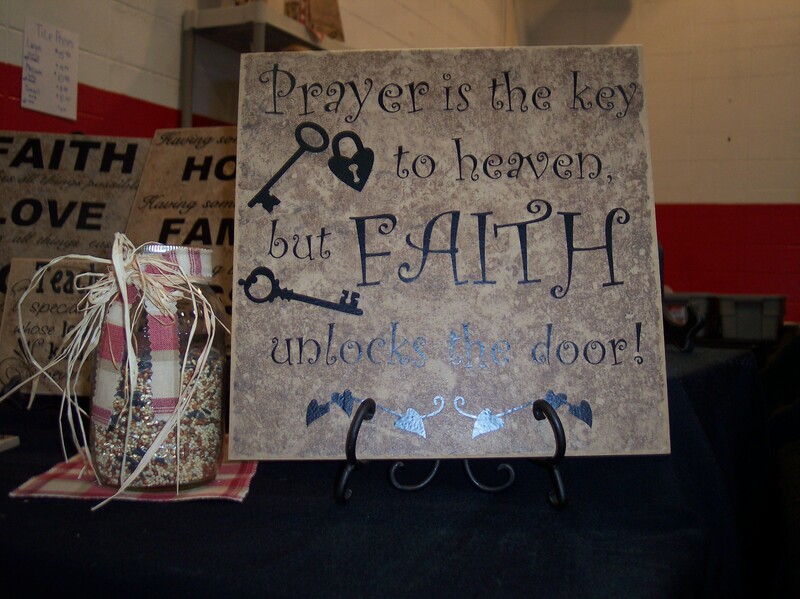 Prayer is the key to heaven, but FAITH unlocks the door! Note: Metal stand shown in photo is no longer available. See our “stands” or “easels” page for current stands available. 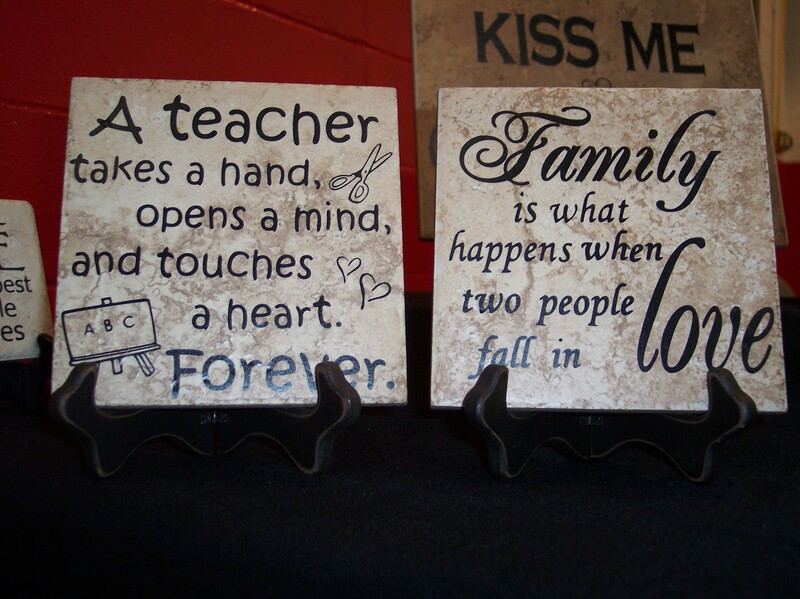 A teacher takes a hand, opens a mind, and touches a heart. 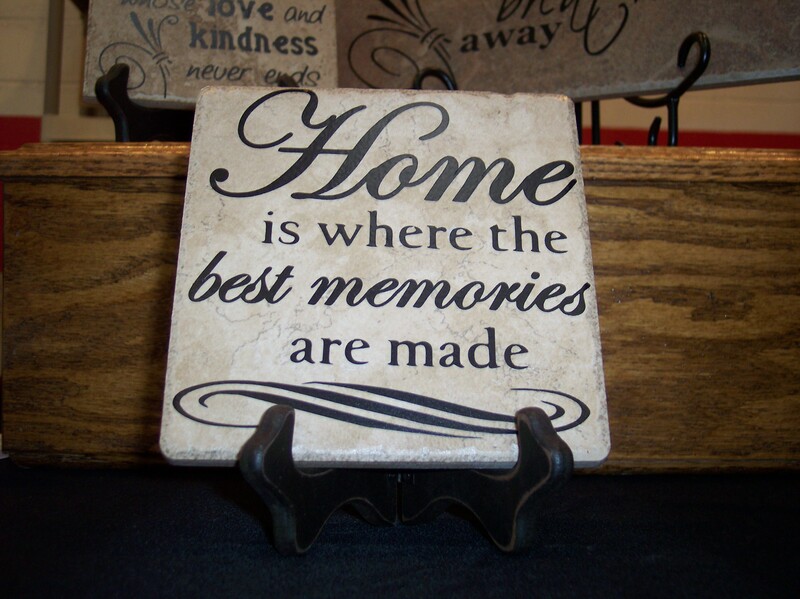 Forever. Available in 12″ or 6″ (shown as a 6″). Christmas – a time of sharing, a time of caring, a time of giving, a time of believing. 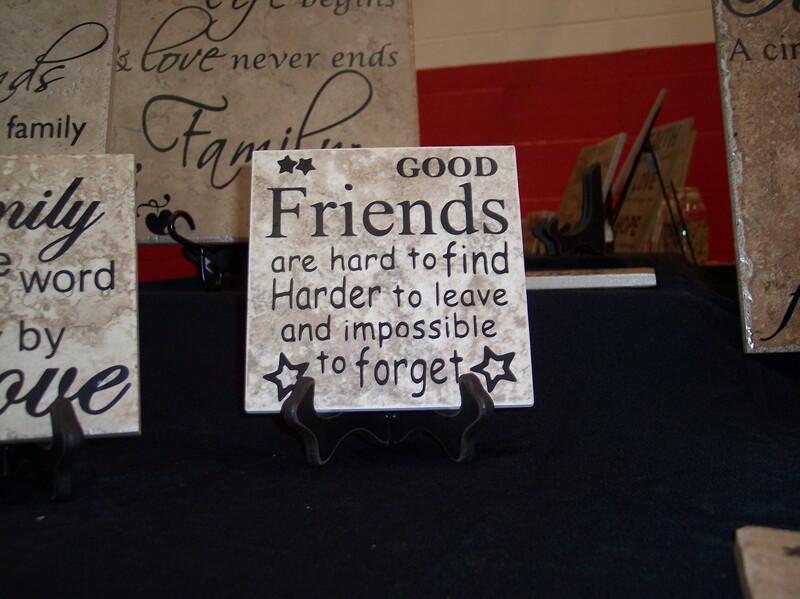 12″ tile – $19; metal stand available – $6. NOTE: The metal stand shown in photo is no longer available. We have better metal stands available now! 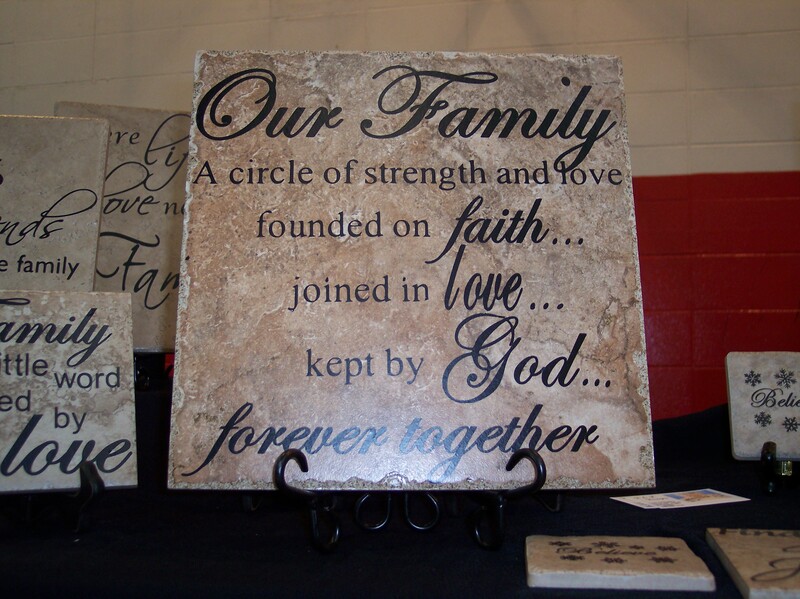 OUR FAMILY – A circle of strength and love, founded on faith, joined in love, kept by God. Forever together. 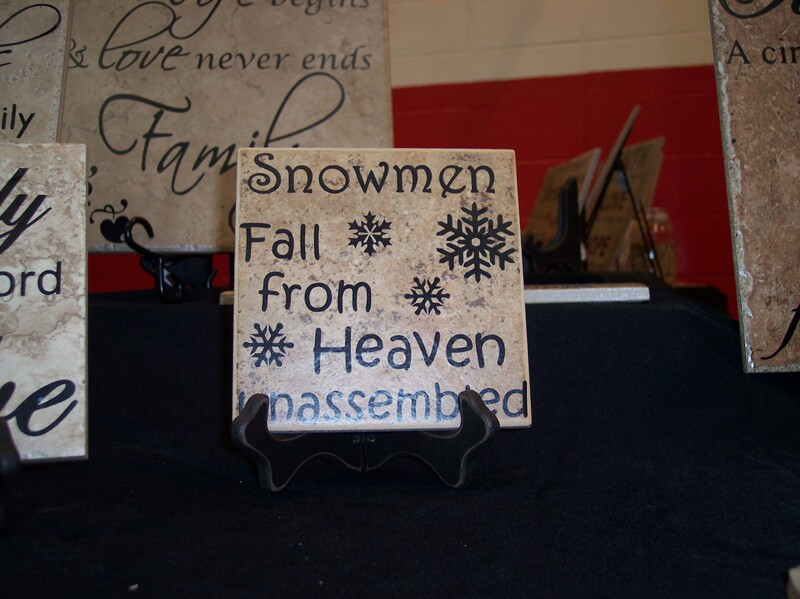 6″ tile – $10; wood stand available – $3. Ask for Version #2. 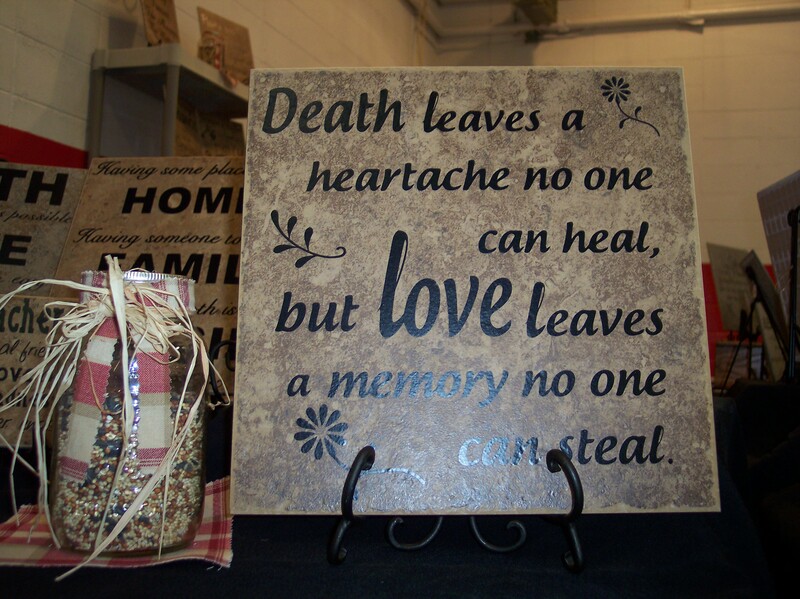 6″ tile – $13; wood stand – $4. See Version #1 for different design set up. 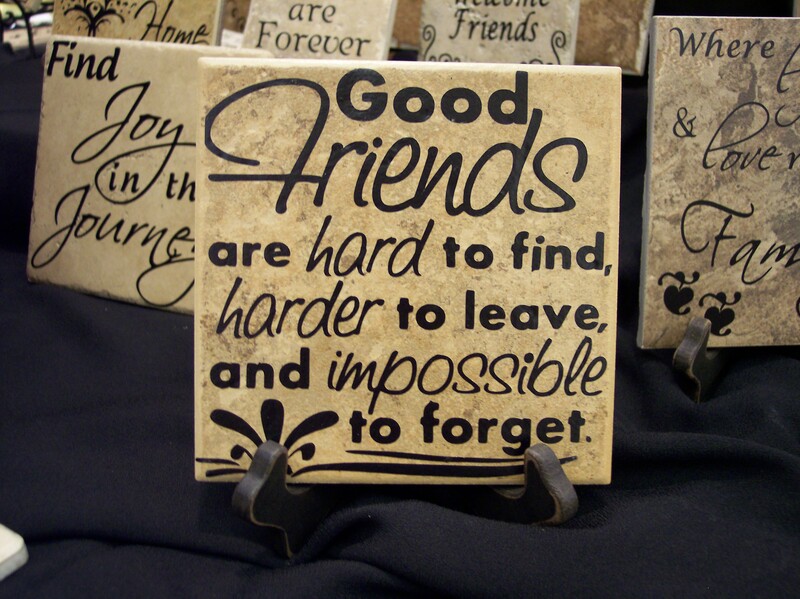 Good Friends are hard to find, harder to leave and impossible to forget! Ask for Version #1. 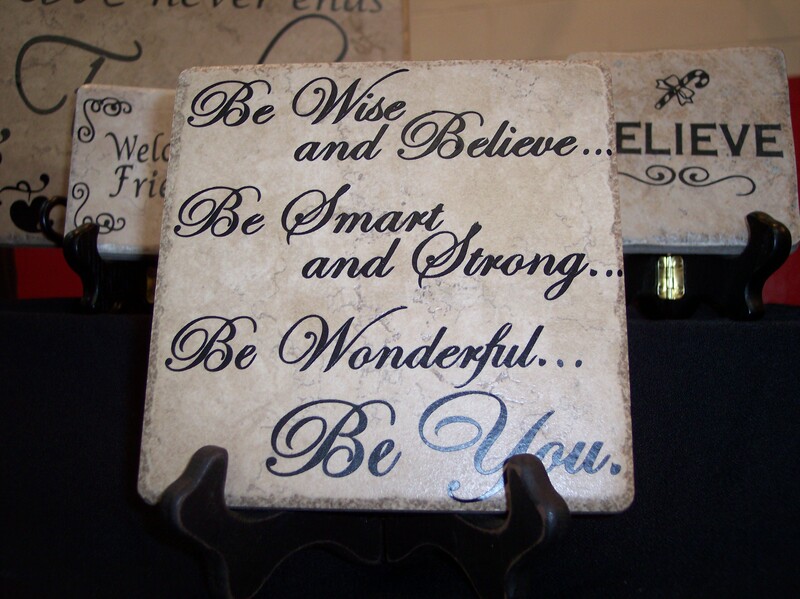 6″ tile – $13; wood stand – $4. See Version #2 for different design set up using the same saying. 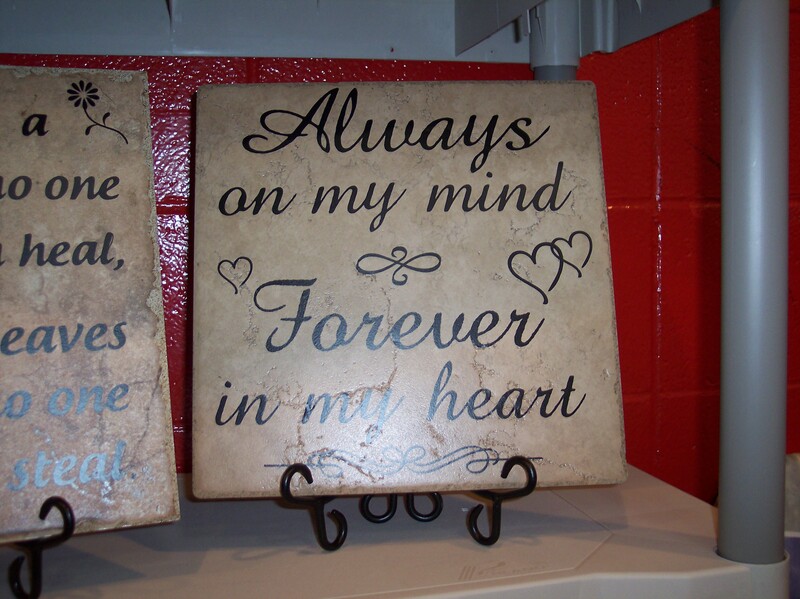 6″ tile – $13; wood stand – $4. 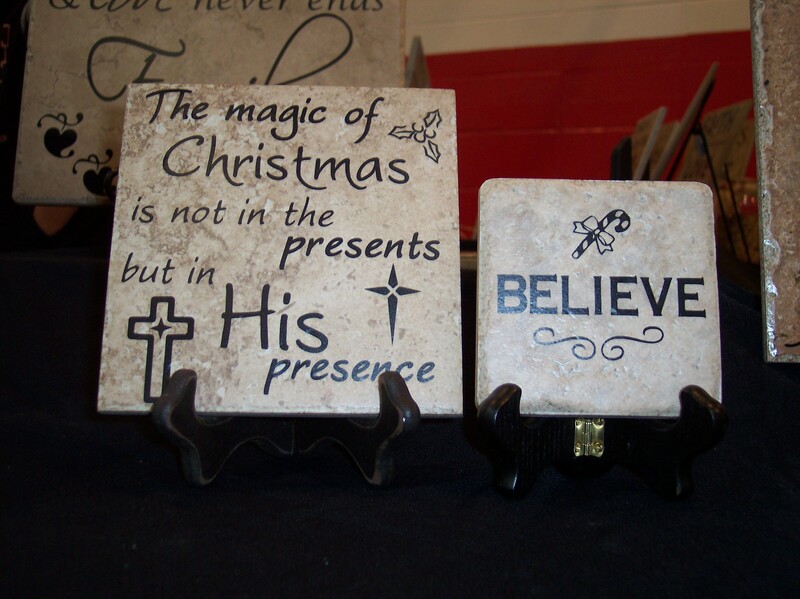 Right: 4″ “Believe” tile – $5; small wood stand – $4. 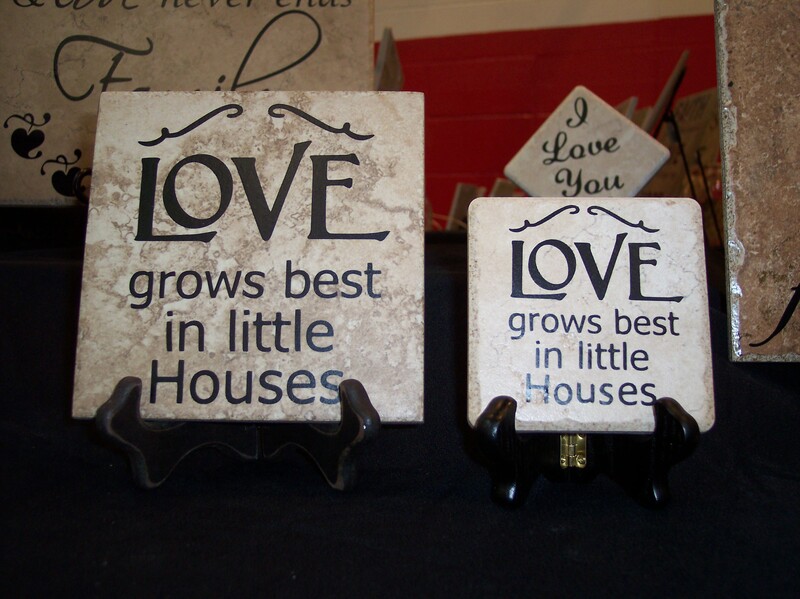 Left: 6″ tile – $13. 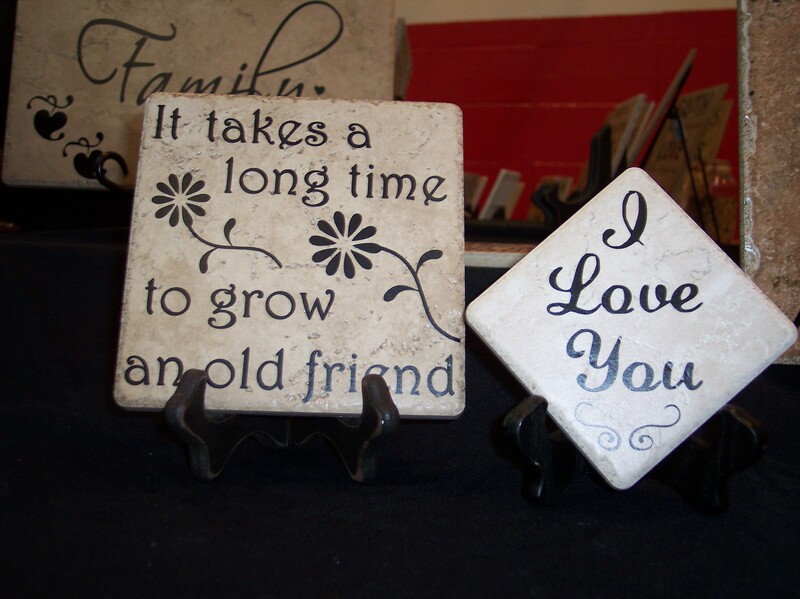 Right: 4″ tile – $5. 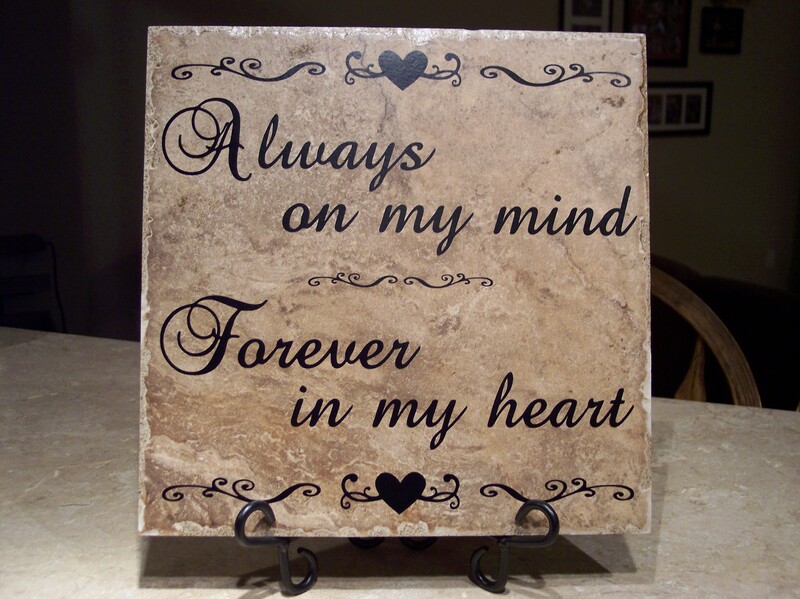 6″ tile – $13; with black wood stand – add $4. 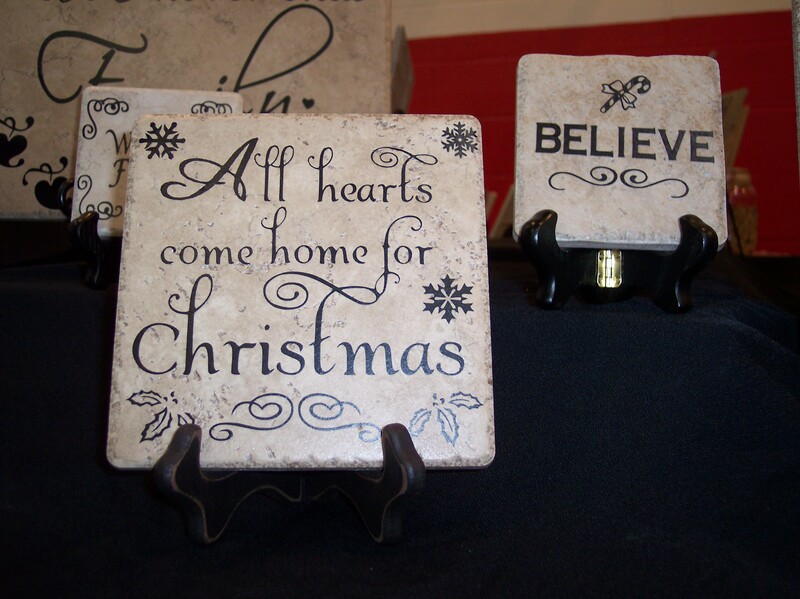 4″ small tile – $5; with small black wood stand -add $4. 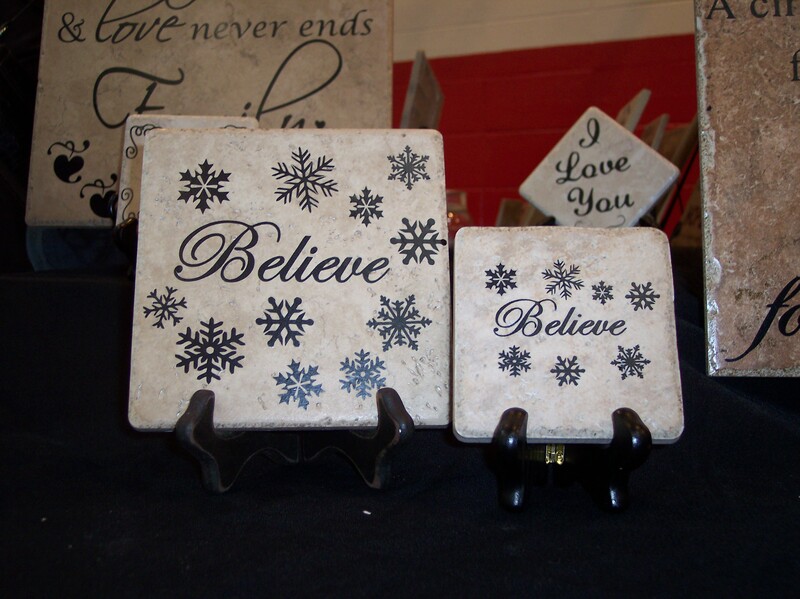 4″ “Believe” tile in background – $5; with small black wood stand – add $4.